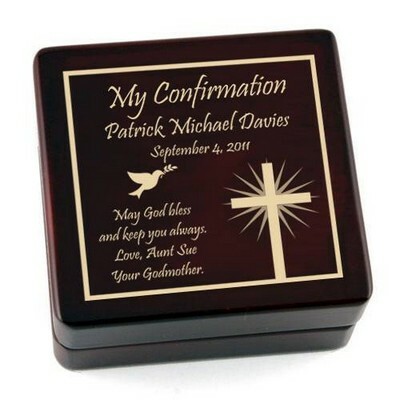 You have 105 characters left. This blue godchild wall cross is an ideal new baby gift, and makes a fitting gift for any religious milestone in a child's life. 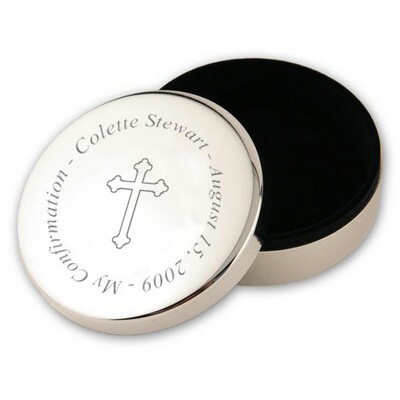 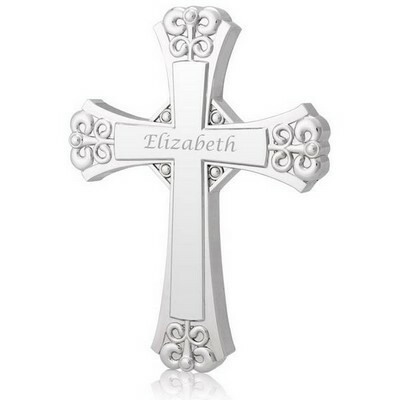 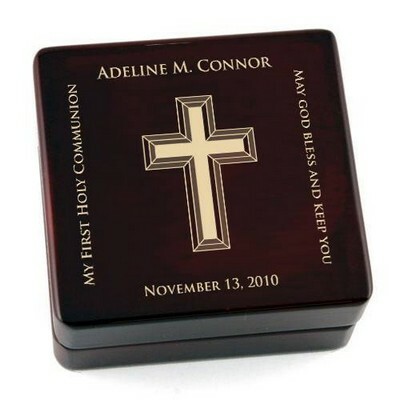 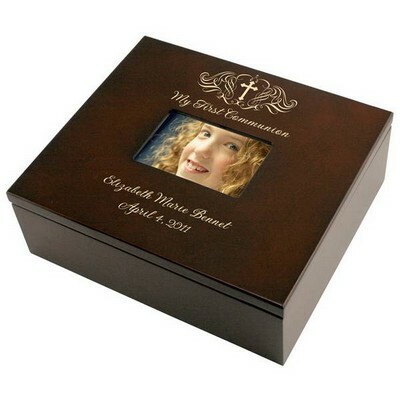 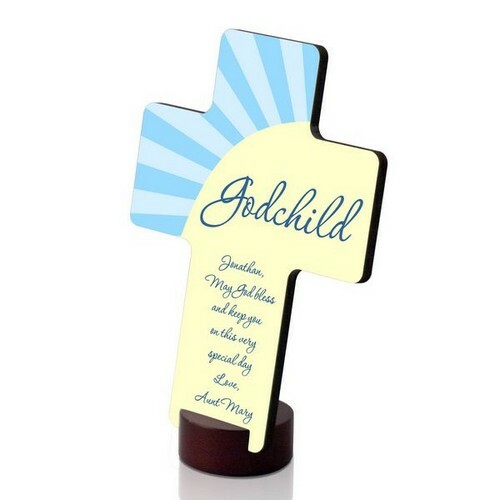 Each boy's cross features "godchild" printed prominently on the cross, with room for a personal message at the bottom. 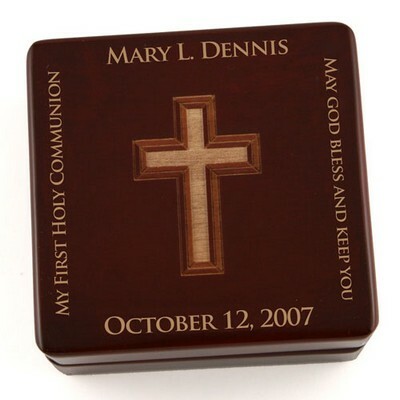 These unique baby gifts measure 5 1/4" by 6.875" and are made of hardwood and finished with a lovely gloss. 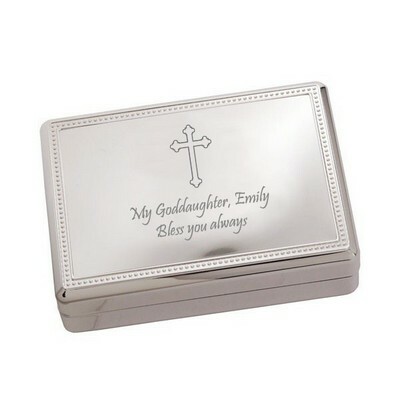 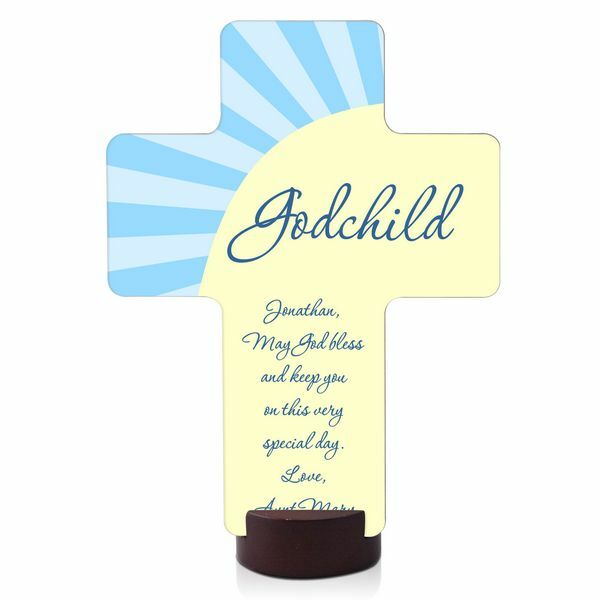 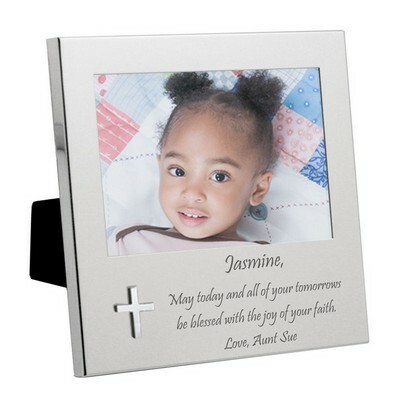 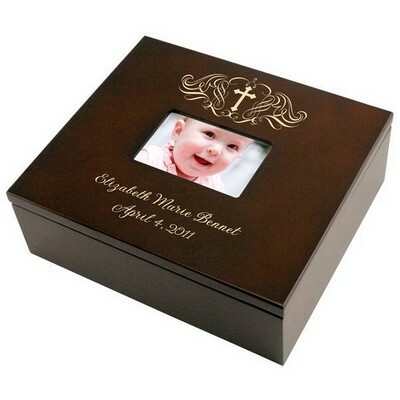 For a personal and one-of-a-kind newborn baby gift, choose this custom blue godchild wall cross from Memorable Gifts.